The Department of Home Affairs has initiated a Repositioning Programme that will align with its modernisation programme and other transformation initiatives. The Department of Home Affairs released a Discussion Paper on its Repositioning for public comment in May 2017. The inputs informed the drafting of the White Paper that will provide the policy framework for drafting legislation that will define the mandate, role, status and obligations for Home Affairs in the future. This white paper is now available for public comment and discussion. 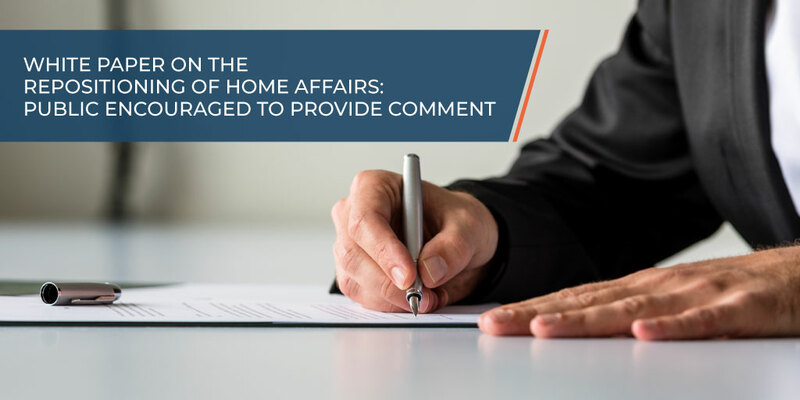 Click here to view the White Paper on Home Affairs.